911 Restoration Portland can help with any flood damage. Most people think water damage occurs due to heavy rainfall, snow storms, or other natural disasters that may cause flooding or leaking roofs, but the truth is that it can happen at any time and for many different reasons. Frozen pipes can lead to floods, since this usually causes them to burst. Once the pipes thaw and the water starts moving through the plumbing system again, then a flood can take place. With over 35 years of experience supporting them, the water extraction Lake Oswego pros are licensed, bonded and insured in order to protect the homeowners soliciting our services. We always want to ensure that our customers are getting the superlative service. 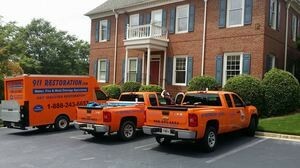 We are proud to be able to give everyone free water damage estimates. 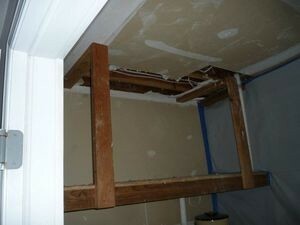 We hope that this causes the homeowner to give our Lake Oswego water damage agents the moment they experience a flood. The Lake Oswego water removal experts understand the need for quick flood cleanup. This is why the 911 Restoration Portland office is available 24/7/365. We have service agents ready to send their Lake Oswego flood removal crew to your property within 45 minutes of your emergency call. The flood remediation Lake Oswego technicians have some tips for homeowners that will help them to keep their pipes from freezing during the cold months. Insulate all your hot and cold water pipes with snap on foam insulation. Reinforce with duct tape and miter foam in order to cover all gaps. Wrap pipes in UL approved heat tape. The tape should have a built-in thermostat that prevents overheating. Turn off your sprinkler system and blow compressed air through the irrigation lines to remove all water from the system. Keep a constant circulation of water flowing through all pipes in order to relieve pressure and reduce the chances of bursting. Running you washing machine’s fill cycle periodically throughout the day for a few minutes will allow warm water to run through the pipes and prevent freezing. To prevent flooding, the water damage Lake Oswego team at 911 Restoration Portland is armed with the most progressive water removal equipment. Their IICRC certification makes them extremely competent to clear your home of all moisture. 911 Restoration Portland owner Yoav wants customers to know that the Lake Oswego experts always make the customer the number one priority. We show this by taking care of all the loose ends, which includes finances and insurance. We always offer competitive prices and will communicate with your insurance company for you. The Lake Oswego staff will do all they can to keep your cost as low as possible. Yoav wants nothing more but to give customers the very best care. If you live in Lake Oswego then then you have to deal with cold, wet winters. This can cause issues for homeowners who have not taken to proper measures to protect their pipes. If you find yourself dealing with standing water, call our water damage Lake Oswego team with 911 Restoration Portland for all the best in services that the industry has to offer today!